Just lately, I have been unable to “Log Off” from a Remote Session on my Windows 2003 Server (running XAMPP). It would leave a “1073” Event in the System Log (Failed to Restart / Shutdown Computer). A bit odd, since I am not trying to Shutdown the machine. 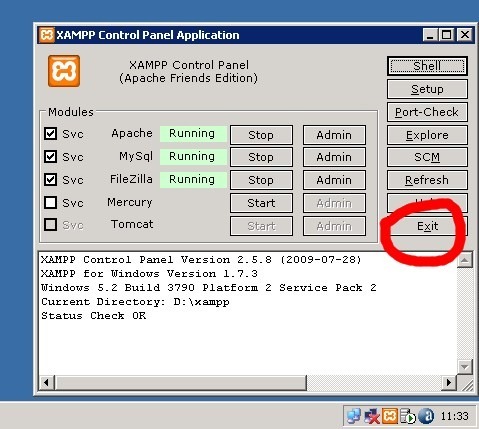 I’m not sure why this has started all of a sudden, but the XAMPP Control Panel seems to be causing the trouble. Just make sure it isn’t running when trying to Log Off.